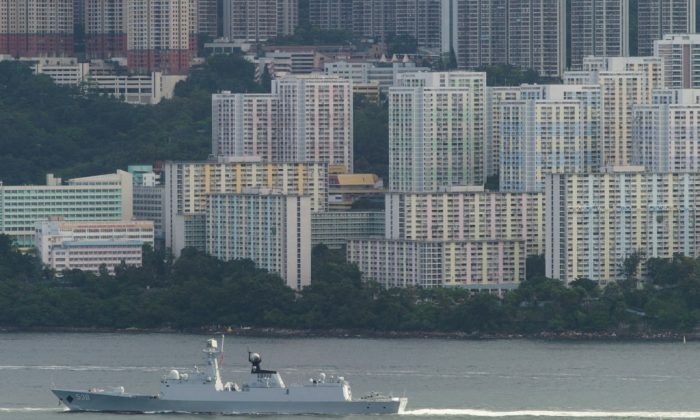 BEIJING—A formation of Chinese warships has been holding daily combat drills for more than a week in waters near Taiwan, China’s state media said on June 26, amid heightened tensions between Beijing and the self-ruled island. The news comes as U.S. Defense Secretary Jim Mattis has arrived in China for a three-day trip. “The drills tested the military and training abilities of warship, aviation, and coastal defense troops, via organizing real combat training in multiple areas of the ocean,” it said. Taiwan’s defense ministry said in a statement that the vessels were being monitored continuously and there was no cause for alarm. China claims Taiwan as part of its territory and has never renounced the use of force to bring the island under its control—despite Taiwan being a democracy with its own constitution, elected officials, and military. In recent weeks, Beijing has increased aggressive rhetoric threatening attacks on Taiwan, held military drills near the island, and amped up hacking attacks on Taiwan’s military. Taipei has denounced such actions as intimidation. China often says the United States’ acknowledgment of its “one-China” policy is foundational for two-way ties, and that Taiwan is the most sensitive issue in the relationship. U.S. overtures toward Taiwan, from unveiling a new de facto embassy to passing the Taiwan Travel Act, which encourages U.S. officials to visit, have led to escalated tensions between China and the United States. China’s hostility toward Taiwan has grown since Tsai Ing-wen from the pro-independence Democratic Progressive Party (DDP) won presidential elections on the island in 2016. Reporting by Christian Shepherd. Epoch Times staff member Frank Fang contributed to this report.